April 27. 2017 - MY FRIEND DAHMER gets glowing review in Variety! July 22, 2017 - MY FRIEND DAHMER releases first teaser, announces Fall 2017 release! Hi, my name is Giorgio Angelini and Section Perspective Films is my "boutique" film production company. Which really means it's just me running it. I am a writer, director, and producer. My background is in architecture and music. (I used to be in some bands that did some things). I see a big intersection between architecture and film-making, and the name of the company is a nod to that realization. In architecture, we communicate ideas through drawing. In film, through a script. The most typical drawing we communicate through is typically a floor plan. It is the most literal expression of an idea. But it exists in a two-dimensional, flat plane. 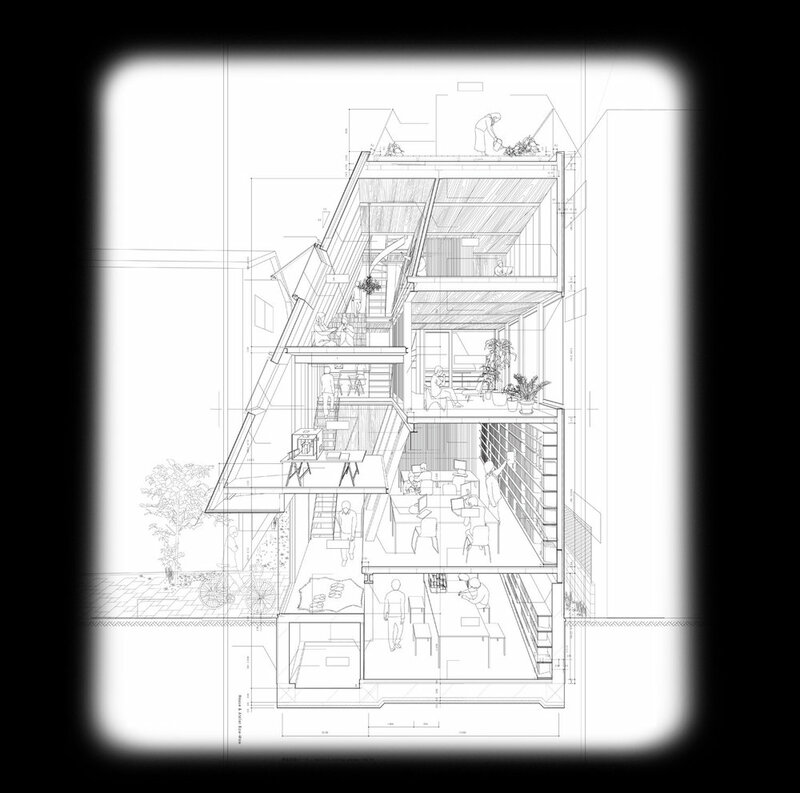 A section drawing operates conversely, cutting vertically through multiple layers of a building, exposing relationships between space and program that would otherwise not be evident on a plan. But it also exists with in a two-dimensional plane. A "section perspective" expands on this flatness, revealing a design's inner-workings and bringing to life what was once flat space. Many worlds existing at once, bound together by built form. My approach to film making borrows from this metaphor. I began this production company when I began work on my first feature documentary film about housing culture in America (Owned, A Tale of Two Americas). Since then, I've helped to produce My Friend Dahmer (2017), Shoplifters of the World (2019), and am currently in development with a new documentary feature about the internet, memes, and the process of radicalization online. If you'd like to see some of my previous work in design, please visit Schaum/Shieh Architects.